We are the ONLY home care franchise company in the world that provides this service to their franchisees the way we do. We also knew you couldn't learn this business in a 1-week training program. As a result, we developed our intensive business-coaching program. When you join our family, you are assigned a coach who will walk you through the start up process step by step as you grow the business from start-up to fully-operational. Along the way, our team at HeartQuarters will help you with building a team, creating a business plan, marketing your services – and everything in between. Our brand - Home health care has been around for more than a century, and most home care franchises act like it. But at Nurse Next Door, we see aging as a reason to celebrate! Nothing about our brand says “old”. We are lively, happy and full of heart. We want anyone who comes in contact with our brand to immediately feel an emotional boost — the same one we experience when we get to work each day. Happiness model - Most home nursing companies arrange care around basic tasks — meal preparation, medication management, assistance with bathing and dressing. But in doing so, they often overlook their clients’ emotional and personal needs which are just as important, if not more so, than the physical ones. Nurse Next Door’s happiness model focuses on providing care that goes beyond basic needs to find out what our clients love to do, and what will bring joy to their life. Differentiating services – We are always looking for ways to help our franchisees stand out from their local competition. Our Safe At Home remote monitoring program is just one example of a service that sets us apart. By offering a wireless safety system that can be installed in a client’s home, our franchisees are starting customer relationships earlier, providing a superior level of care, and standing out as thought leaders in their communities. 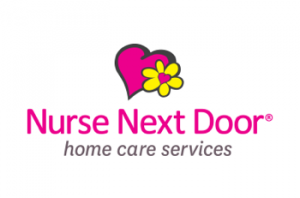 If you'd like to know more about franchise partnership with Nurse Next Door, we'd like to talk to you. Please note this franchise is currently not accepting inquiries from Rhode Island, Louisiana, North and South Dakota, Mississippi, Vermont, Washington DC. We are open in all other states! New Franchise owners receive coaching and preparation to run a successful home care business. You’ll be assigned a business coach who will hold regular calls with you to focus on your goals, review metrics of your business, and help you overcome any challenges you face. Additionally, you will receive sessions during Training Week to participate in seminars, discussions and brainstorming, and gain insights and valuable learnings. You’ll also be provided with useful resources such as our 16 week plan designed to keep you on track during your initial weeks after launch.